Big cats such as lions and tigers are awe-inspiring, beautiful animals. People are often intrigued by keeping big wildcat species as pets, but what kind of pets do tigers, lions, bobcats, and other big cats make? Many people keep big cats like bobcats, tigers, and lions as pets. Tigers and lions are surprisingly easy and inexpensive to purchase as pets. While import and interstate trade are prohibited, they are available in many states from captive breeders. This means it is possible to own a large and powerful carnivore whether or not you are equipped to properly care for them. The Captive Wildlife Safety Act was introduced and passed in the U.S. House of Representatives in 2004 to address the problems of availability of wild cats as pets. This law prohibits the interstate and foreign trade in exotic cats, including lions, tigers, leopards, cheetahs, jaguars, and cougars for the pet trade. Circuses, zoos, wildlife rehabilitators, and some other licensed facilities are exempt. This legislation was introduced with the sole purpose of making these big cats unavailable to the pet trade, although it is not an outright ban on ownership. Within-state breeders may still operate legally in some states. Experts estimate that there are thousands of tigers kept as pets or in private facilities in the U.S., possibly outnumbering the tigers left in the wild. The numbers compiled by the Feline Conservation Federation show a drop in ownership of big cats in the U.S. in the period from 2011 to 2016. If owning a big cat still intrigues you, you must consider a few factors before meeting with a reputable breeder. Keeping wild cats such as tigers, lion, bobcats, and cougars may be illegal where you live (either under local laws or by wider regulations). You will need a veterinarian that is willing to treat your animal, and it is difficult to find one. The future for many big cats is a life of neglect and even abuse when their owners cannot handle them anymore. Deciding to own a big cat is taking on a high level of responsibility for these animals, one that most people find overwhelming after the first couple of years. Even the smaller of the non-domestic cats, such as bobcats, servals, and lynx, are not at all like domestic cats. Different species have different temperaments, but all of these cats can exhibit unwanted behavior from urine marking to aggression. Most of these cats will need spacious outdoor cages in order to thrive. It is a huge commitment and responsibility to properly care for smaller wild cats such as bobcats. The large cats such as lions, tigers, leopards, and cougars are even more problematic. Even if they are not overly aggressive, their natural tendencies must be remembered. They are predators; even at play, their huge size and strength can make them a threat. Pet tigers have been involved in several fatalities and maulings in the U.S. and Canada in recent years. Sadly, pet tigers and other big cats end up neglected, abused or given up to sanctuaries when their owners cannot care for them. While there are owners of big cats who go out of their way to provide appropriate housing and diet and have no problems, there are countless others who are misguided in their expectations and ability to provide the proper care. All big (wild) cats have sharp claws and teeth and can be quite destructive. Even trained zookeepers who work with these animals every day are in danger of being attacked if the animal is startled or provoked in some way. Big cats need a lot of space, and usually custom built cages—even smaller species like bobcats. The cage must be secure and safe, because there's a very real danger of a big cat escaping and attacking people. You will need to provide plenty of intellectual and physical enrichment opportunities, much like a zoo, for your wild cat. These are smart, inquisitive animals who will get bored if they are understimulated. Big cats tend to spray their urine and they have a musky odor. This is classic "marking" behavior that the animals can't really be trained out of. Be prepared to clean the animal's enclosure thoroughly and frequently. Big Cat Rescue estimates an investment of $25,000 in the first year of owning a small to midsize wildcat and annual costs of $7,500. For big cats, expect over $100,000 for the first year and ongoing annual costs of over $10,000. Big cats are carnivores and require a lot of raw meat. They can eat up to 15 pounds of meat per day, and also need vitamins and supplements to stay healthy. In the wild they hunt deer, fish, gazelles and any other animal they can kill. Since the average lifespan of a big cat is around 20 years, you can see how feeding one this amount of meat on a daily basis could really add up. It's also a bit intimidating to watch one of these animals eat; they have strong, powerful jaws made for ripping flesh and crunching bones. Watching one eat will definitely remind you of the safety concerns of keeping a big cat as a pet. 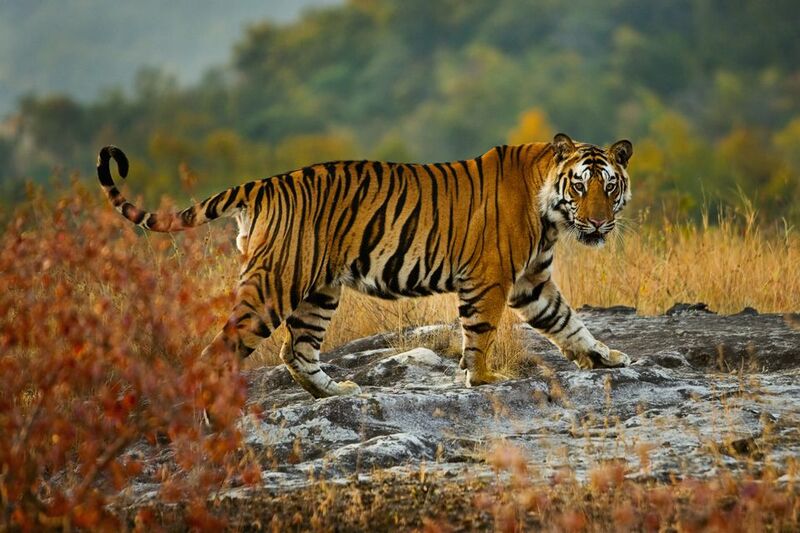 Much like the common house cat, big cats are prone to diseases like distemper and rabies. Most zoos immunize their lions, tigers and other cats against these conditions, but it may be a challenge to find an exotics vet near you who can provide the proper vaccines. There are several other ailments that affect big cats. Feline immunodeficiency virus (FIV) is a feline equivalent to human immunodeficiency virus (HIV). If not treated, FIV can weaken the cat's immune system and make it vulnerable to other contagious diseases. However, unlike HIV, the feline version is completely curable with treatment. The feline leukemia virus (FeLV), however, is not curable. but can be treated if caught early. FeLV leads to other illnesses in cats, including anemia, chronic infections, and other cancers. If FeLV develops into full-blown cancer it is almost always fatal. Otherwise, check out other cat breeds that can be your new pet.